As the region’s economy struggles to regain its footing, we go straight to the people who are faced with putting Humpty Dumpty together again, from freshly minted college grads to the county’s enterprising small business owners – and everyone in between – to pose the question on everyone’s mind: What needs to be done to get people, and businesses, back to work? 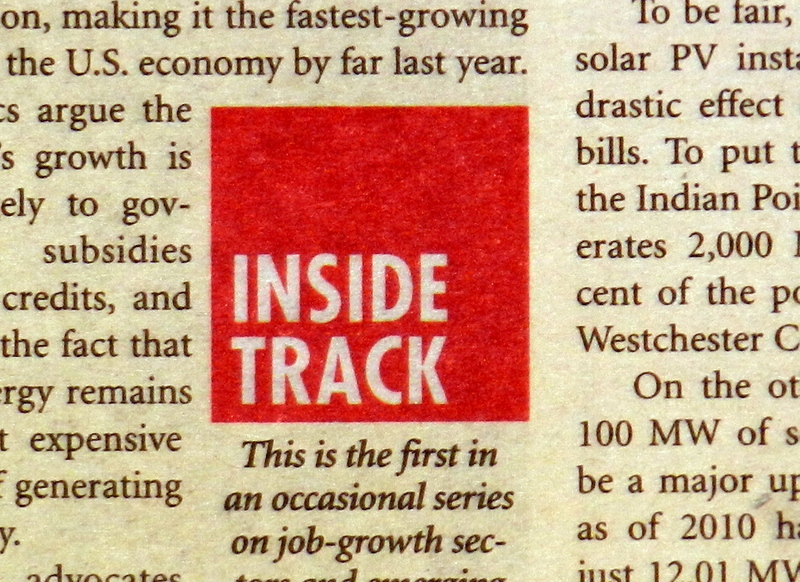 The Inside Track blog will present the Westchester business owner, worker, resident, consumer, and otherwise-interested parties with up-to-date news and analysis of what’s happening around the county on a daily basis. All views expressed within the confines of the Inside Track blog are strictly the opinions of the author and do not represent the views of the Westchester County Business Journal, Westfair Business Publications or any other affiliates unless otherwise indicated. Patrick Gallagher, author of the Inside Track blog, is a staff reporter with the Westchester County Business Journal, the Fairfield County Business Journal, and HV Biz.